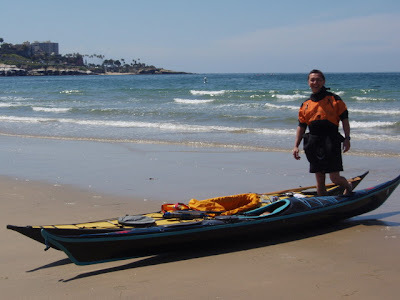 I was able to paddle TSC's Nordkapp off La Jolla, CA thanks to his graciousness in bringing it, with all gear, to my hotel and taking me out. Here is the black Nordy on La Jolla Beach, and here it is in profile with 2/3 sections still bolted in the apartment. TSC can be a wealth of knowledge about these boats, and paddling his for a day allowed me to know that the weight, although onerous on land, is reasonable in water. Additionally, I found that my small-mid sized body type can fit and paddle in a larger Valley boat. tsunamichuck really did post those trip reports om my site!!! I SWARE TO GOD! 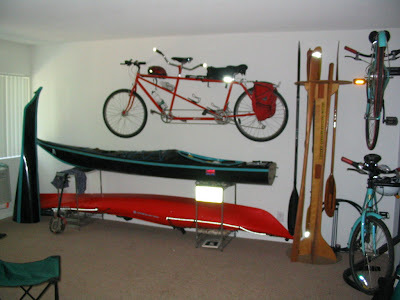 I did not copy it from Sea Kayaker!!! !